Netanyahu noted that Israel has been working with the US “for some time” towards the abandonment of Washington’s passive support for the non-binding resolution titled “The occupied Syrian Golan.” Previous US leadership had abstained from the vote on the symbolic document but, this year, under Donald Trump, the US became the only state to vote ‘No’ alongside Israel. However, with 151 votes in favor and 14 abstentions, the Special Political and Decolonization Committee's resolution passed anyway. Israel has enjoyed the most favorable relations with the US under the Trump administration, which has bowed to a strong domestic Israeli lobby to support Tel Aviv's demands, ignored by previous American governments. During Trump's presidency, Washington has been blocking Palestinian aspirations for statehood. In the most controversial move, Trump recognized Jerusalem as the capital of Israel and relocated the US embassy from Tel Aviv to the holy city. 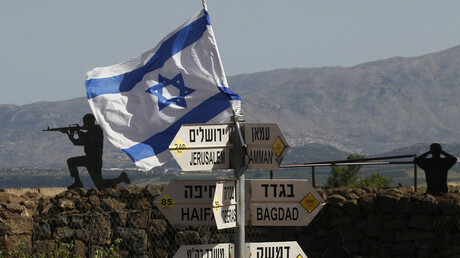 Months following the move, US ambassador David Friedman hinted that Washington might soon recognize Israel’s claims over the Golan.